Adding a deck to your home is a wonderful way to add character to your home. A deck is a great place for social gatherings or just afternoon sunbathing! If you have decided you would like to build a deck, but you aren’t sure how to start, here are some tips to help. Before you can even begin construction of your new deck, you need to read up on your city’s zoning laws and residential building codes. The laws will tell you what you can and cannot do when building your new deck. You typically will need to obtain a building permit and discuss your project with your local building inspector to be sure you comply with the building codes. Determine what type of deck you want to build. You may want a tall deck, or a short deck. Each deck will require different materials. Here are a few common materials used for deck building: concrete, cinder blocks, caulking compound, flashing, gravel, post caps and bases, joist hangers and nails, seismic tools, rebar, stainless steel nails or HDG nails, and cardboard tube concrete forms. O’Leary and Sons are fully prepared to assist you with your deck building. With a team of professionals, the work will be done safely and efficiently. One would need to prepare the site for where your new deck construction colorado springs will be built. 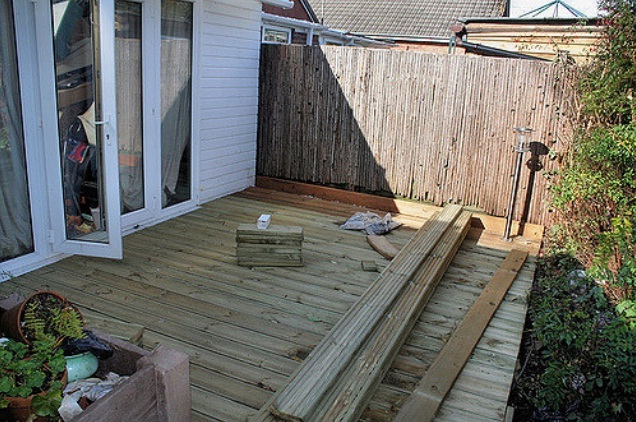 Of course, you will need to know the exact measurements of your deck before you can begin. Once you have the measurements, you can outline them on the dirt or grass and begin preparing the ground. The team will determine if anything needs leveling. If your deck will be against your house, you will need structural support against the house using bolts or lag screws. Be sure the deck wood lines up with the structural support of your home. They will need to remove a portion of the siding of your house in order to gain access to the solid wood. A freestanding deck is a little easier to construct (you won’t need to remove siding) but it does require time and more work on your part. The end that is up against your house will need to rest on piers, which will require more cement work on your part. O’Leary and Sons Inc will make sure your deck is up to code standards as well as your own. They can help you design a deck to match your tastes and will construct and finish it. Call today to begin planning your dream deck!